A man stands with two children. 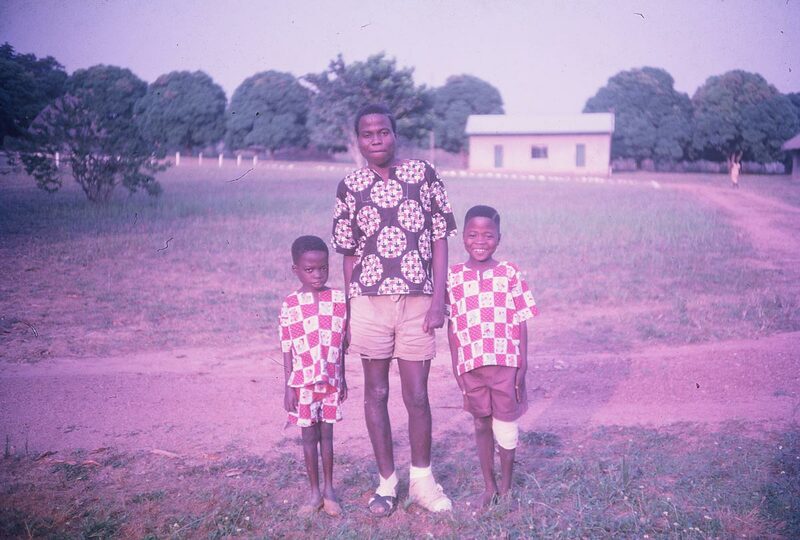 My mother always loved colorful Nigerian cloth, so it’s little wonder why she took this photograph. 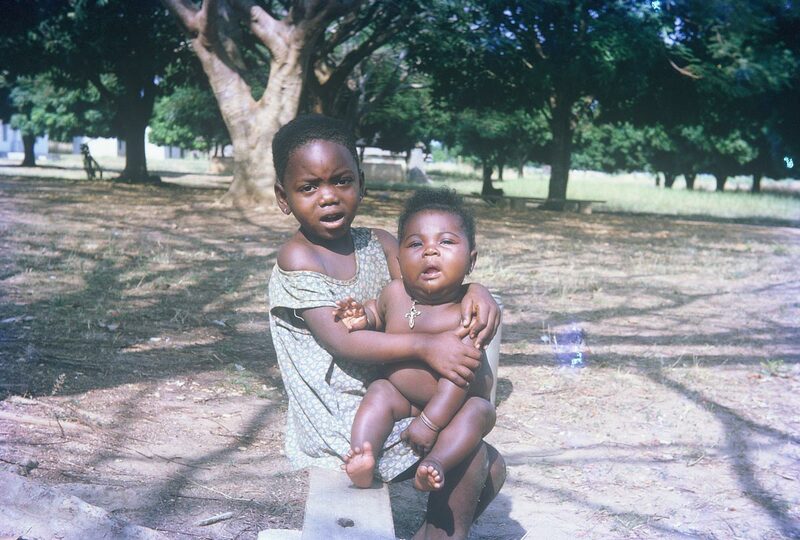 The bold patterns on their shirts provide a contrast to the blurred mango trees in the background. 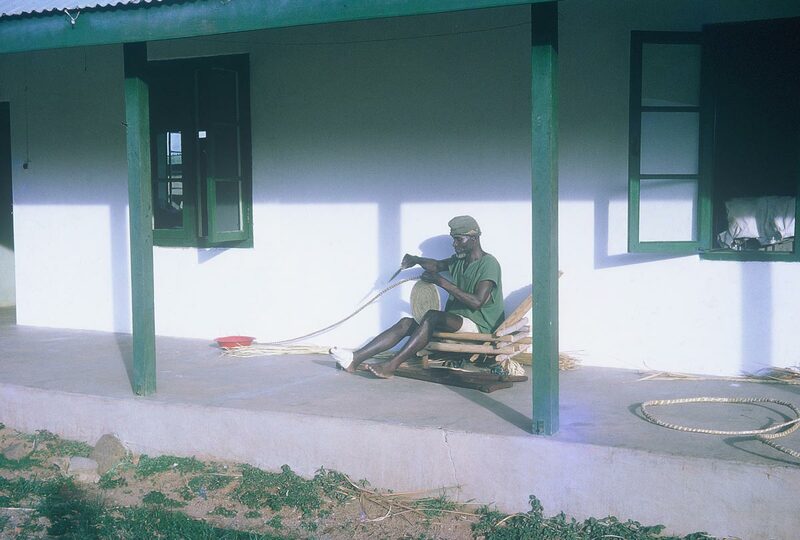 A man beginning to make a rattan mat. 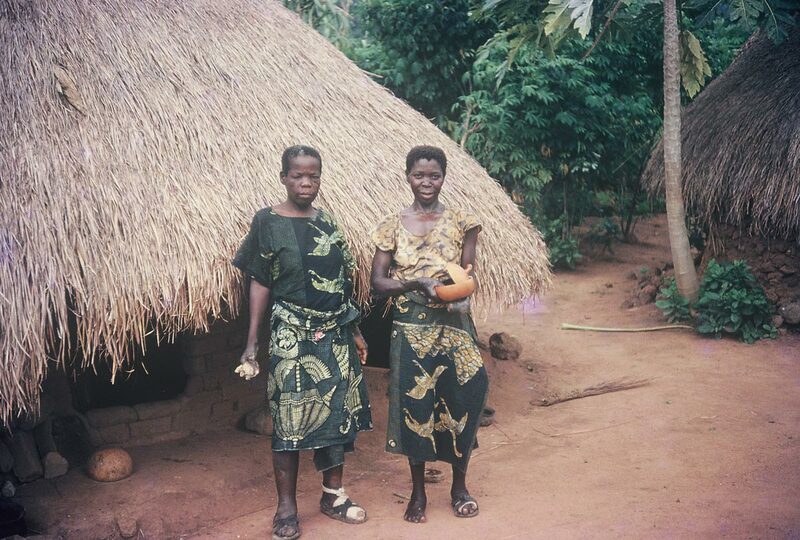 Two women, most certainly leprosy patients, stand outside their homes. Both of them are wearing a beautiful blue duck patterned wax print cloth. The thatch roof huts were the standard home style in those days. Mud and thatch are still used in rural Nigerian homes, but concrete and tin are favored because they last much longer. 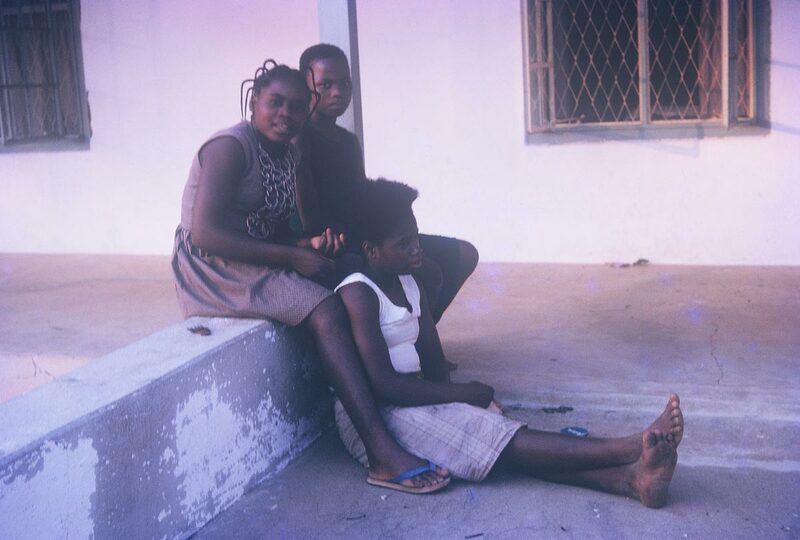 Three young women sit outside in the afternoon, plaiting hair. A young girl holding a baby. Note the large crucifix on the baby. By this time in Nigerian history, Christianity was making serious inroads to the south and center of the country. My mother and other missionaries were part of that process. 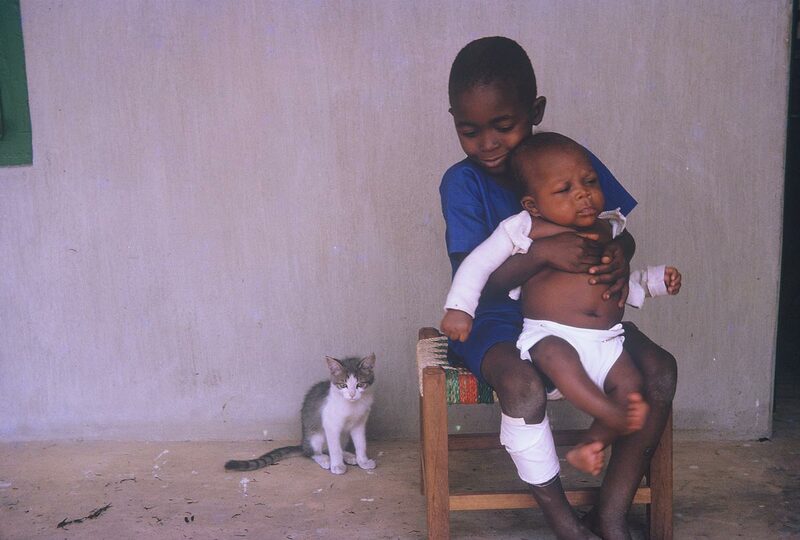 They moved to West Africa to set up and maintaining Christian hospitals, and used them as a form of evangelism. This young woman most probably worked as a maid to the missionaries, perhaps even my mother. Young people were chosen as house help for a variety of reasons: they came from a broken home, their parents could not feed them, or perhaps they were especially gifted, and their parents requested the white man’s schooling. The drum behind her collected rain that was then boiled for drinking water. Two women pounding yams. Yams are the staple food among the Tiv people, and around the whole country. 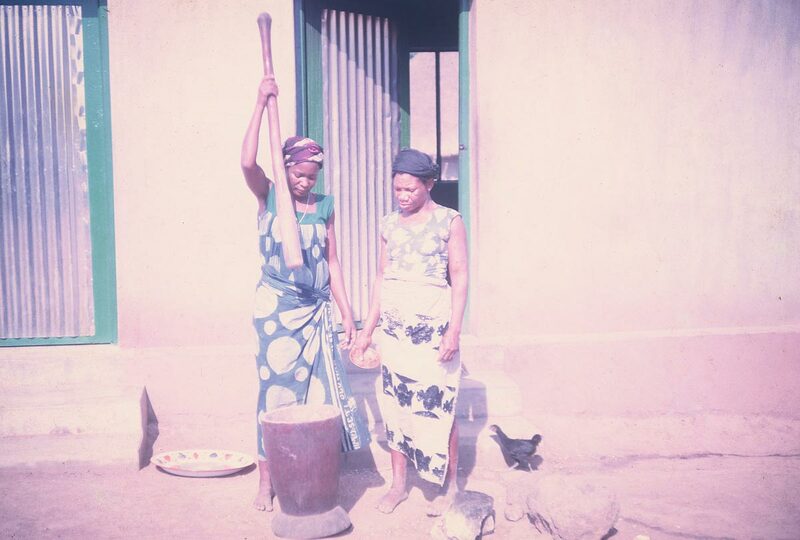 The work goes a lot faster if one woman pounds, and the other woman reaches into the mortar to flip the yams and add water. Then, as now, pounding yams was seen as women’s work. Coming from a farm family, my mother must have been fascinated. 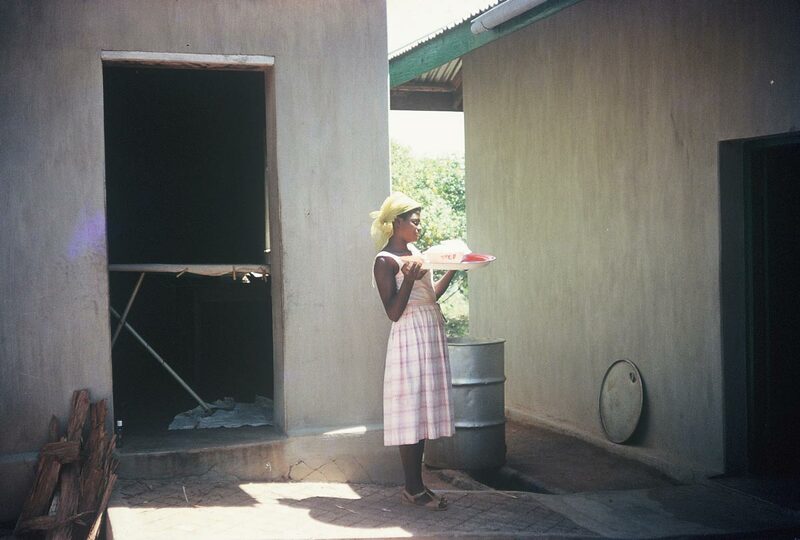 The farm life of 1960s California was far removed from the farms of 1960s Nigeria.